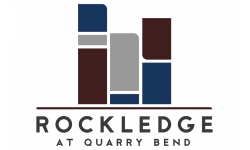 Rockledge at Quarry Bend, located in the heart of beautiful Sandy Utah, offers brand new luxury apartment rentals with an emphasis on lifestyle and customer service. With proximity to some of Sandy's finest features such as Dimple Dell Regional Park, South Towne Center, Jordan Commons, and convenient freeway access you will experience all the wonder Utah has to offer. We are located in Canyons School District, one of the highest rated districts in the Salt Lake area. We know your pets are important and they are welcome at Rockledge. We have several nice dog parks nearby which they will surely enjoy with you. Apartment homes for rent at Rockledge offer large 1, 2, and 3 bedroom plans with several unique options to meet your needs. Every apartment has granite countertops, washer/dryers, upgraded flooring, stainless steel appliances in your gourmet kitchens, 9 ft. ceilings, and large picture windows to take in the beauty of your surroundings. Take advantage of our convenient parking options including underground parking or attached/detached garages and carports. Reserve the beautiful clubhouse and entertaining areas for parties, enjoy the outdoor patio with fireplace, or spend a relaxing day at the pool and hot tub. Rockledge also features the largest fitness center anywhere. There you’ll find Crossfit style workouts as well as the latest state of the art equipment. Stop in or call us for your personal tour today. We are excited to meet you!